I am getting so FIRED UP for this Indiana game. Let's make a statement, smash this team and start winning the alumni and student communities. There you go! Let's get this FIU Panther football season going! I'm can't find the "like" button? Anyways, me like!! I found it interesting that this article mentioned Tyree Johnson and Olin Cushion were emerging as the leaders for the two S positions. Personally, I would prefer more size at those spots, but you want the best guys on the field regardless of their size. I feel very comfortable with Ike Brown and Lubin at CB. Ike Brown could be an all C-USA corner this year. The Herald article doesn't mention Demery on the O-line though, and he basically has the starting LT spot locked up it seems, so I'm skeptical of this report. The Herald poorly covering FIU? Never! I still get the print Herald Thurs-Sun (i know, i know) and I have to say I've been pleased with the volume of FIU mentions, photos, and articles going into season thus far. The Butch Davis effect starting to play. This board has kept me plugged in through some tough years. 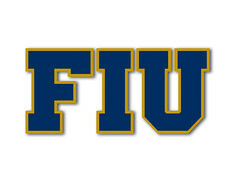 I know I can't be the only one who sometimes feels like I'm on an FIU Football fan island. That's the beauty of being an FIU fan. After all those years of heartbreak and disappointment, hopefully these coming years of growth and fun makes it all more worth the wait.